Summary: Fully furnished Harrisburg City studio and one bedroom apartments 1 full bath. Capital Complex area located with easy access to I-81 and I-83. 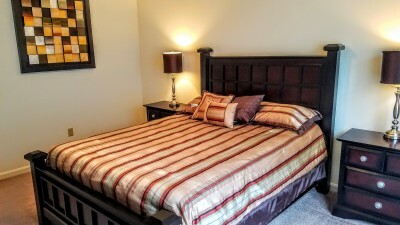 Amenity Features: Private secure garage parking, Washer and Dryer in building, High ceilings, 32" HD TV, Central Heat and A/C, Upgraded linens, bedding and towels, High Speed Wireless Internet, Customized cleaning services, Fully stocked kitchen. 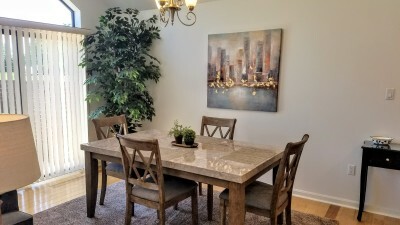 Our Harrisburg Suites are a luxury collection of recently renovated studios and one bedroom furnished apartments located in center city Harrisburg. 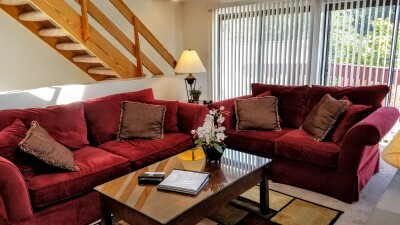 These fully updated serviced apartments are located in downtown Harrisburg, just minutes from the Capital Complex, Harrisburg's infamous restaurant row, and Metro-Bank Park. The Harrisburg Suites were revitalized into high-end corporate apartments in 2013. Each of the 57 units offers an open floor plan with between 675 and 759 square feet of living space. 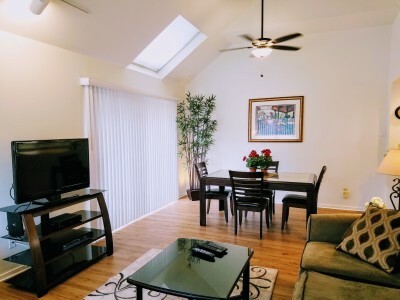 Each apartment offers an open floor plan with expansive windows provide a bright relaxing atmosphere for your extended stay in the capital city. Numerous windows allow natural light to pour in, making the space an extremely comfortable place to relax. New tile and plush carpeted floors provide character and style unmatched by any property in the area. The units are on the first, second and third levels with entry at ground level and a private underground parking garage. 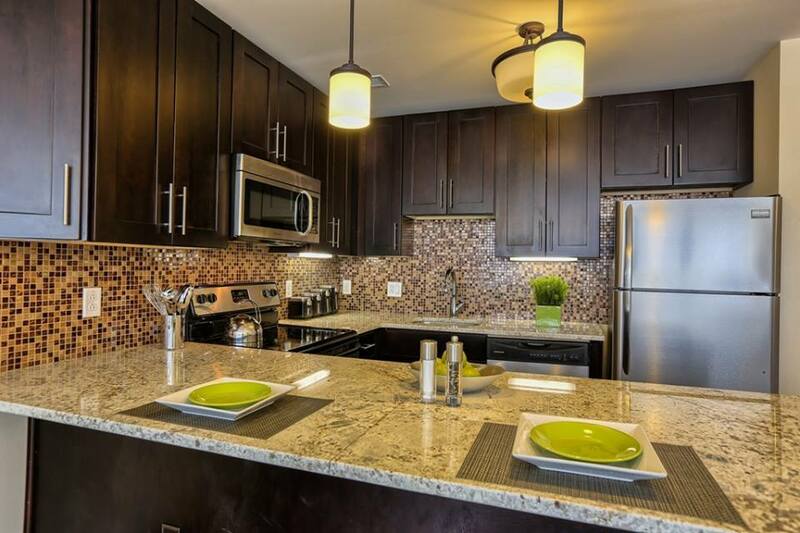 The modern kitchens are equipped with stainless steel appliances and granite counter tops. The large bedroom area with hotel quality bedding is separated from the main living area. A 32" flat panel TV is provided in the living room. Wireless internet, cable service, private parking and a fully equipped gym are provided at no additional fee. Further amenities include stainless steel refrigerator/freezer with ice maker, microwave oven, self-cleaning oven, garbage disposal, automatic dishwasher, granite counter tops, central air, and heat. The properties location provides walking distance access to the capitol complex and other state government buildings, as well as I-81 and I-83 for motor travel in and around Harrisburg. 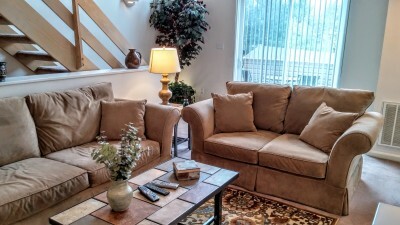 It is hard to imagine a property more comfortable, and convenient for your stay in the Harrisburg Capital Region. Visit Harrisburg City Resources for more information on the Harrisburg Capital Area. Guests interested in this property also showed interest in these homes in Harrisburg, Camp Hill, Mechanicsburg, Enola, and Hershey. For more information on an alternative location please "click the photographs" or links below.